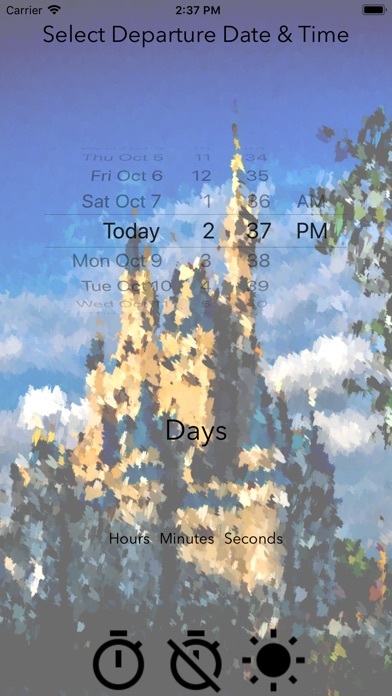 This is a trip countdown timer that displays days, hours, minutes, and seconds to your Disney trip departure. 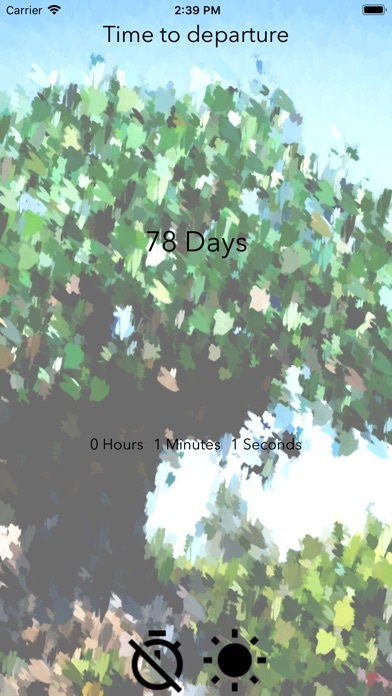 Just set your departure date and time, and the countdown timer screen displays on four water color background screens which automatically change. 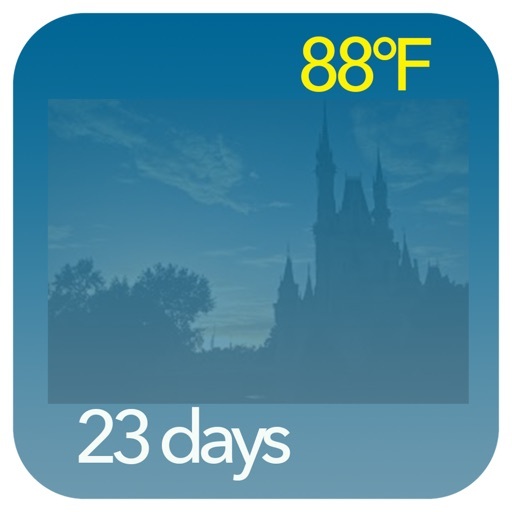 And if you've always wanted to know what the current weather is at the resort area, this app does that too. 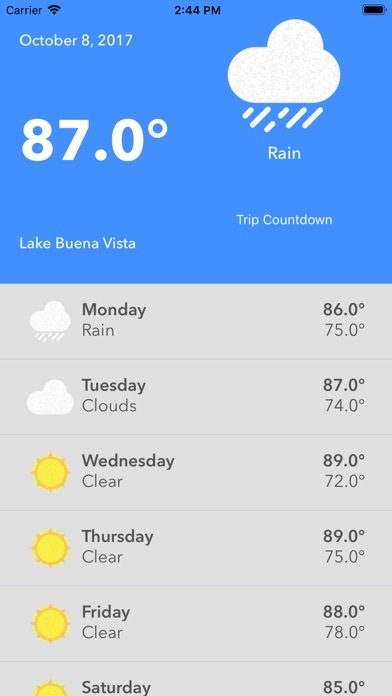 The weather screen displays current weather conditions for Bay Lake, Florida, and shows the weather forecast for the next nine days, pretty handy for checking the forecast as your trip draws near so you can decide what extra rain gear or other clothes to pack! 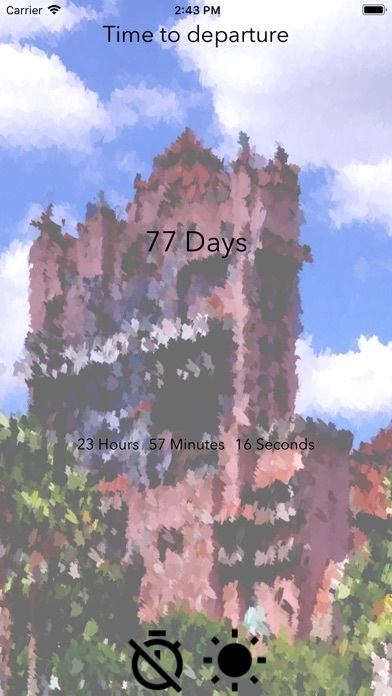 Even though many people think the weather at Disney is just hot, or just rainy, sometimes there are days when it's hot and cold in the same day. Knowing the forecast high and low is pretty useful. 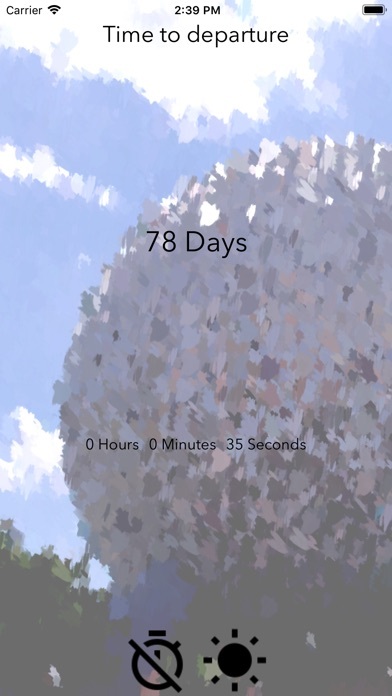 When we have a trip planned, we always have fun counting down to the trip, and now it'll be easier for you to answer when you're asked over and over again how long until you leave on your Disney trip.